The Club has members from 25-94 in ages so is keen to provide new experiences, provide new thoughts, challenges and information. There is no reason why we all should not try and lead as normal a way of life as possible. A Shooting club in South Devon has received a grant so that visually impaired people can take part in the sport. Paignton Shooting Club received a grant which will be spent on a new audio-laser sighted rifle, including a five-shot magazine. Torbay based charity VisualEyes Torbay, who hold regular shooting sessions at the club, have received £1000 from South West Foundation Trust. Colin Reeves, chairman of the Paignton Shooting Club was contacted by VisualEyes’ Chris Sumner in March 2016 to ask if the club could host shooting for the visually impaired. He said “We’re a club that has always tried to be as inclusive as possible as long as the obvious safety constraints can be accommodated. 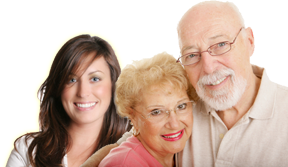 “We previously ran weekly shooting sessions for the blind and visually impaired residents at the RNIB rehabilitation centre Manor House in Torquay until the centre closed”. “Technology has advanced greatly since those early sessions, so we started to research current systems that could allow a totally blind person to shoot using electronic sights and eventually found a digital system to used by a club in North Devon and arranged to borrow it to carry out a trial”. “This new system was much smaller and cheaper than the previous version so we decided to acquire a set for Chris’s group. 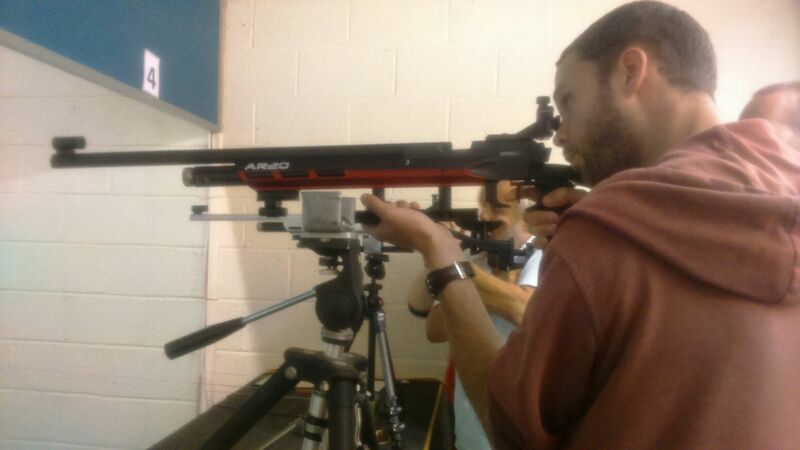 Chris was very supportive and with his help we approached the British Shooting to apply for a grant of £500 which we received to cover the cost of the sight system which we set up on the club’s own air rifles to run the sessions on a monthly basis”. “This has been very well received as it’s a social activity with a difference, as it allows people to take part in a sport that most visually impaired people had never considered, for obvious reasons”. 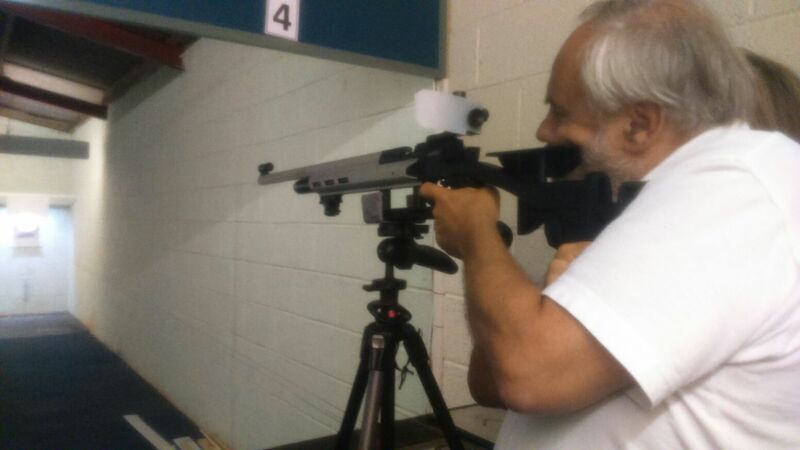 Since the club purchased the electronic sight, Chris has been working to secure additional funding to acquire a new rifle which would better suit the needs of the group. The intention now, helped by the grant Chris has received, is to purchase a rifle which takes a five-shot magazine, so once the gun is made ready the shooter will be completely independent and be able to load and fire at their own pace without the aid of enablers. 07951 659 514. The Paignton Shooting Club can be contacted on 01803 445872.